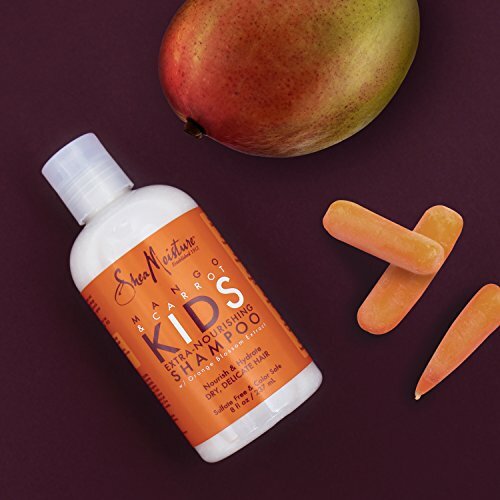 Nourish your little one’s locks with double the moisture! Kids’ hair is prone to frizzy flyaways, tough tangles, and regular breakage. 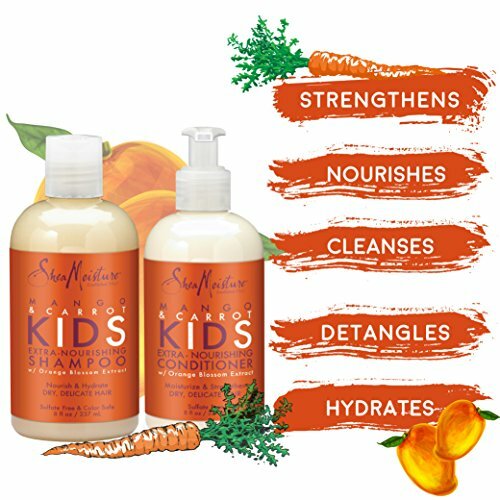 Give them a healthy, glamorous mane with Shea Moisture’s Shampoo & Conditioner combination pack. 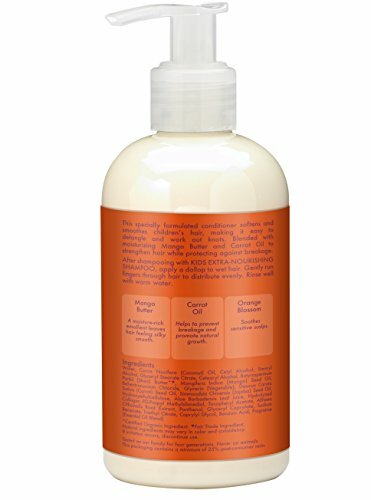 This 2-item set delivers powerful hydration to tame unruly strands whether they’re thick and curly or dry and dandruff prone. 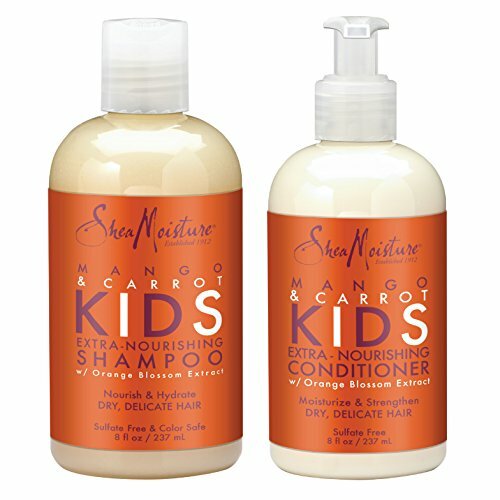 First, wash hair from scalp to ends with the clarifying and strengthening Mango & Carrot shampoo. Leave in the complementing cream conditioner, rinse. They’ll have beautiful, adorable, tangle free hair to last the school day! 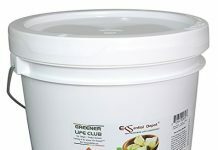 Best of all, our gift sets’ ingredients are clean, green, and organic whenever possible. 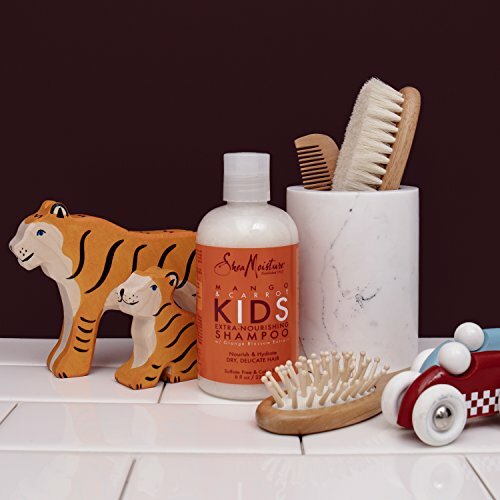 Just like their growing bodies, little boys and girls’ hair needs special attention to keep it healthy and strong. 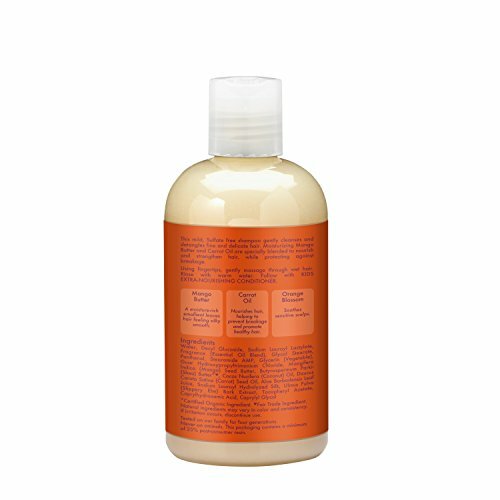 Nourish their dry, delicate strands with this all-in-one moisturizing and styling system. 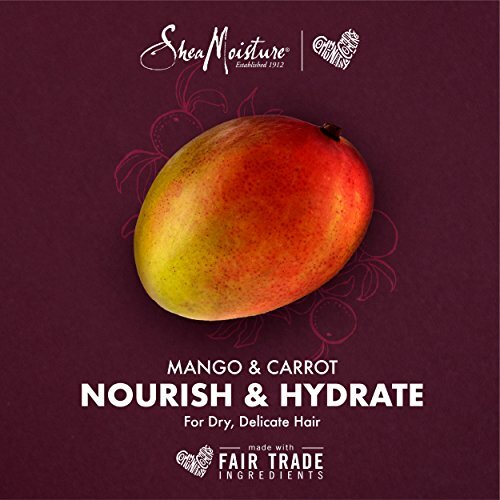 Each formula features unique handpicked elements designed to boost baby hair’s texture, resilience, body and manageability. Soothe their itchy scalp with ingredients gentle enough to use every day. 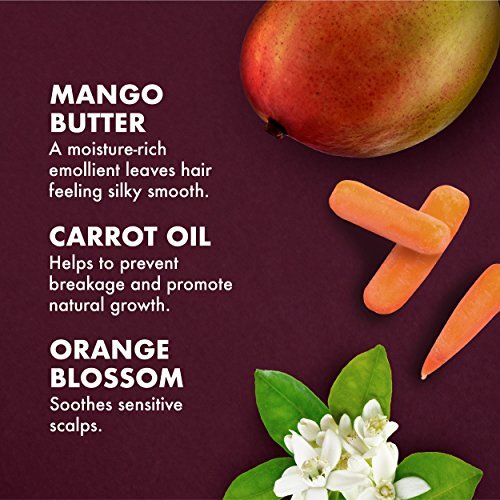 Apply a pump of Mango & Carrot cleansing shampoo, rinse well, and follow with the orange blossom infused conditioner. 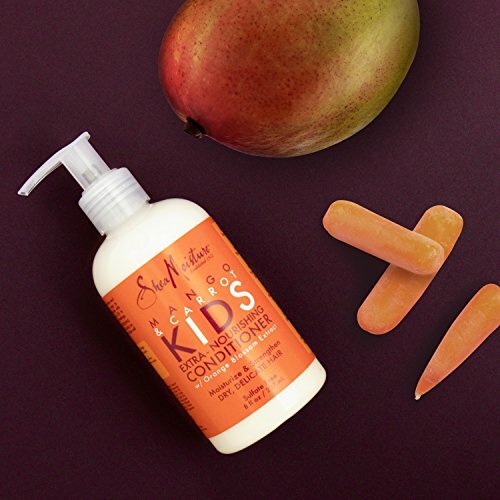 Hydrating mango butter and carrot oil keep ends smooth for long-lasting strength and vitality.